How will Brexit affect your business' operations? 2019 will be a significant year for VAT due to two key developments: Making Tax Digital (MTD) and Brexit. While there has been no shortage of advice and guidelines on how to prepare for MTD, the implications of the latter are less clear. Even this close to the deadline, businesses are still uncertain as to how Brexit will affect their operations. 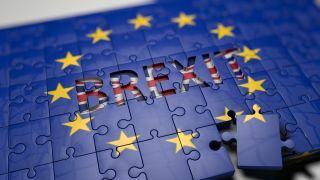 In the event of a withdrawal agreement, the EU and the government negotiated a withdrawal period running from Brexit on 29th March to December 2020, during which, there will be virtually no changes to trade or tax for businesses. In this scenario, there would be no immediate change to UK VAT, customs duty or boarder control. In times of uncertainty, it is important that businesses plan for all eventualities. In recent months, we have seen some large retailers stockpiling goods to mitigate the potential blockages or delays that could occur in the event of a hard or no deal Brexit and in light of new VAT and customs procedures. In the world of manufacturing, we have seen manufacturers assessing the impact on supply chain and those functioning on ‘just in time’ businesses models, reconsidering the viability of this approach post-Brexit. In the event of a no-deal, the VAT technical notice discusses the introduction of postponed VAT accounting. This will affect imports into UK from both the EU and further afield. This, coupled with MTD, will mean all businesses trading with the UK may need to update the software they use to create UK tax returns. In any eventuality, the good news is that domestic VAT within the UK is likely to remain the same following Brexit. Therefore, for domestic business, there will likely be limited impact on VAT rates. However, whether we negotiate a deal or end up with a hard Brexit, one thing is for certain – the transfer of goods between the UK and EU and other neighbouring countries will change to some extent. Currently, when vendors and customers are in different EU member states, but both are VAT registered, B2B supply of goods has VAT implications, yet no cash flow implications. B2B sales are usually invoiced by the supplier, registered for EU VAT at zero rate, and the VAT registered customer accounts for the purchase in their next VAT return as if it had been invoiced including VAT as if it were purchased locally (i.e. at local VAT rates). Any VAT due is then paid by the customer with their VAT return. This is referred to as the reverse charge mechanism. If there is a withdrawal agreement, the reverse change mechanism will continue to apply, however if there is no withdrawal agreement then the UK will immediately fall outside of European VAT regulations. The UK will no longer be part of the EU, so normal export VAT rules will apply for suppliers (the most common scenario is goods are zero rated) and the customer will need to pay both customs duty (where applicable) and VAT at the time of import. This change would have a significant cash flow impact on B2B customers so to help mitigate this, the UK government has committed to postpone the payment of import VAT (this is known as Postponed VAT Accounting). In the event of a no-deal Brexit, effective from 29th March 2019, businesses that are EU VAT registered, purchasing goods from UK will have to pay VAT when the goods pass through customs unless they are based in a country that already operates Postponed VAT Accounting, or is introducing it. For example, Ireland has recently committed to introduce Postponed VAT Accounting in the event of a Brexit no-deal. At the moment, under the ‘place of supply’ rules, the VAT registered customer is responsible for accounting for VAT on a B2B purchase of services (reverse charge rules). This is not expected to change in either a deal or a no deal scenario. Parcels valued at £15 or less sent between the EU and the UK are currently not subject to VAT –known as Low Value Consignment Relief (LVCR). Irrespective of Brexit, after 29th March 2019, all UK parcels will be subject to VAT (except those exempts such as children’s clothing) and LVCR will be removed. A digital service will be implemented, allowing businesses sending parcels to the UK from 30th march onwards valued £135 or less, to pay the VAT in advance. It’s possible to register for this service now. If a parcel is sent without the VAT paid by the sender then the recipient will need to pay the VAT before they can collect their parcel..
It’s undeniable that Brexit will make things more complicated for businesses, however, these changes will quickly become part of routine business operations. In order to prepare for Brexit, businesses must understand how different scenarios could impact their business, ensuring plans are in place for every eventuality.